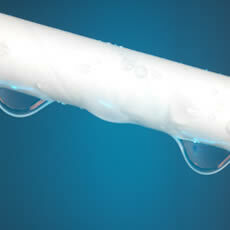 There are many modern definitions of the word membrane, but all can be traced back to the Latin membrum and membrana. The functionality of membranes is based on their pore size distribution. 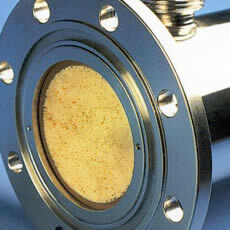 Microfiltration membranes typically have pores between 0.1 and 1 micron (µm). Nanofiltration membranes typically have a pore size between 1 to 5 nm, placing them between ultrafiltration and reverse osmosis membranes. 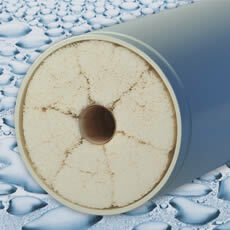 Reverse osmosis is a pressure-driven process to invert the natural flow of osmosis. Tight ultrafiltration comes in when ultrafiltration, the most widely used membrane technology, is not enough to do the job. 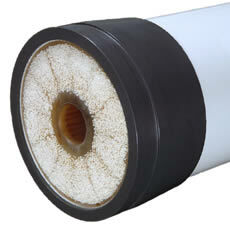 Ultrafiltration membranes are able to retain much smaller particles than microfiltration membranes. There are many modern definitions of the word membrane, but all can be traced back to the Latin membrum (part of the body) and membrana (referring to skin or outer layer). The properties of biological membranes are very similar to synthetic membrane technology. Ultrafiltration membrane technology is applied in water treatment to filter out unwanted particles. 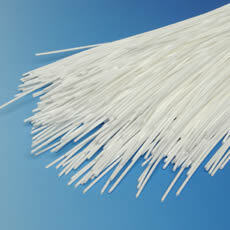 Ultrafiltration membranes are able to retain much smaller particles than microfiltration membranes. Tight ultrafiltration (TUF) comes in when ultrafiltration, the most widely used membrane technology, is not enough to do the job. Nanofiltration (NF) membranes typically have a pore size between 1 to 5 nm, placing them between ultrafiltration and reverse osmosis membranes. Reverse osmosis (RO) is a pressure-driven process to invert the natural flow of osmosis.